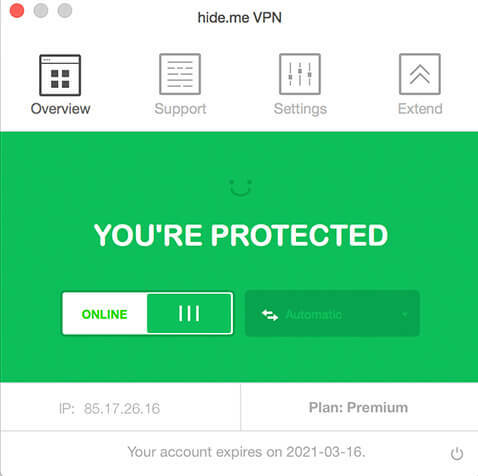 World’s most trusted VPN provider, hide.me, with over 3 million downloads now offers newly enhanced VPN Apps for all Devices and Operating systems with Free VPN. It’s as easy as 123, No Registration, No Login required. Just download and enjoy the fastest VPN in the world. hide.me VPN App offers Wi-Fi security, online privacy, as well as access to all blocked content & apps. Download it free and ENJOY! hide.me VPN offers 150+ servers in 55 different locations across the world. It provides the best security features to protect users’ privacy and devices from all kinds of online threats. hide.me VPN maintains its own dedicated server network to ensure fast speeds and absolute privacy. Here you will find the latest try-before-you-buy software programs and industry news. There are no dangerous third-party downloads here–every product link goes directly to the site run by the publisher of the software shown. Practice safe downloading–always download ONLY directly from the publisher. While download sites add wrappers and monetizers to place downloads inside an income-production layer, SoftwareKB isn't a download site, so our links go to the authors and publishers of all products, never to a file. The publisher's site is always the most up-to-date, and is the safest download location. Read 'Download Safely' to learn what's OK to download, and how to recognize what is NOT SAFE. All pages on this site are ©Copyright 2004-2019 Science Translations, All Rights Reserved. News postings may also be copyrighted by their authors--contact posters for reprint permissions. Reach us online for custom web design in Westminster Maryland or call 410-871-2877.